diyparadise blogs about everything and anything! Having used the Squeezebox 3 for a few years already (and almost modified it to death), I look forward to the new Squeezebox Touch. 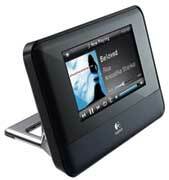 Touchscreen, 24 bit/96 kHz, capable of playing off HDD, SD card… Now that’s a lot to like about it. But the sonics (I’m using only SPDIF output), though much better off the stock Squeezebox 3) still leaves a lot to be desired. With my pulse trans tweak, I was able to improve its sonic immediately but I just have to do more! But opening up this bugger isn’t like the SB3 at all. There are just a few screws on the SB3 so it’s really easy to take it apart. This fella, you need to be very careful. Thanks to John Swenson who described in detail what’s the journey ahead of me. After quite a while fiddling with it, I finally managed to open it. And here’s what I see. The flexi PCB cable, which links up the touchscreen to the main PCB, uses a scary tiny connector. You need to lift up its hinge to free the cable. 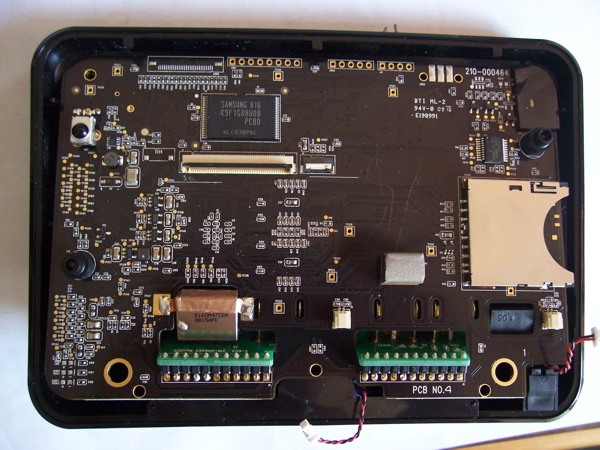 Front view of the PCB. 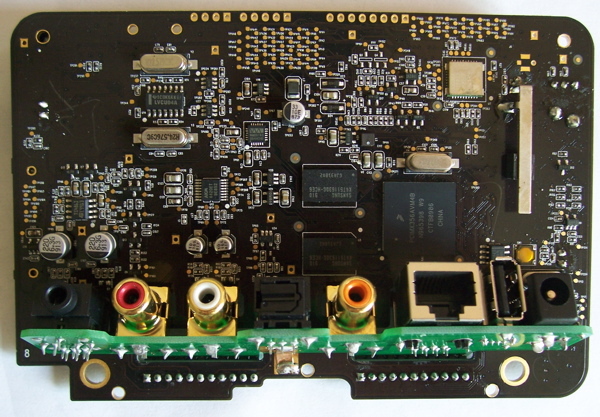 Rear view of the PCB. I could see the DAC is AKM4420. As you could see, lots of scary IC packages inside. TSSOP, TQFP, BGA… All this makes modding difficult. 0805 package SMD components look really big compared to the little fellas here. If you want to tap the I2s signal, you could refer to the AKM4420 as this chip uses I2s format. I still couldn’t figure what’s the SPDIF circuitry inside. There’s definitely no pulse trans but since this could be installed externally, may not be that big of a problem. I would love to remove the SPDIF RCA socket and replace with a BNC. Oh well, have a look at it and let me know what you think could be done to it. i stole your i2s-eiaj convertor design? 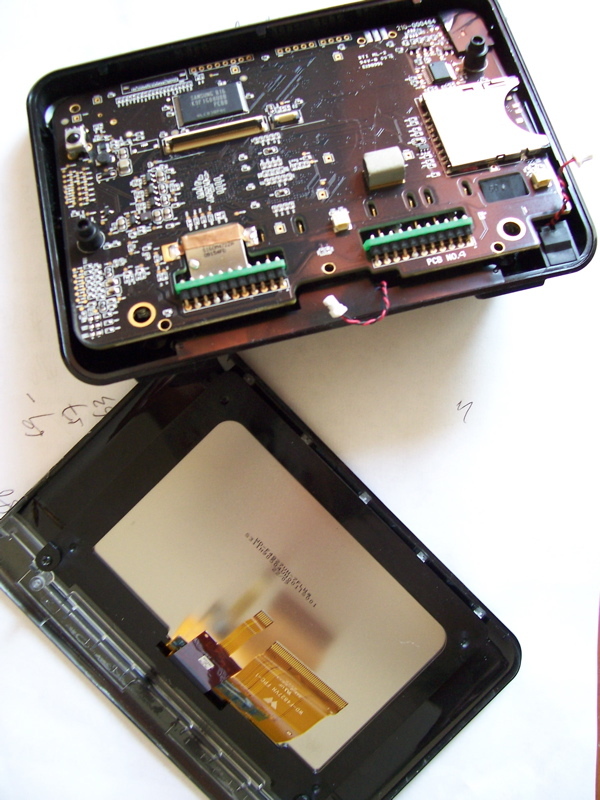 This entry was posted in diyparadise and tagged AKM4420, I2s, pulse trans tweak, SPDIF, squeezebox touch, squeezebox3 on May 8, 2010 by yeo. sorry, still don’t know where to tap the i2s out. would love to do this! Sonic output through the two digital outs has been shown to be “bit perfect,” so I don’t know why it doesn’t sound good to you — perhaps it’s your DAC? every digital transport be it cdrom or hard disk drive or cd player can all claim to be “bit perfect” and everyone’s right! but then why does the music sound so different playing from all these media? it’s not just bits. there’s more to this. ps : notice that no one’s saying the sb touch is the best digital transport money can buy.